The 84 km-long Indo-Nepal border has been sealed ahead of the third phase of civic polls tomorrow. MAHARAJ GANJ: The 84 km-long Indo-Nepal border has been sealed ahead of the third phase of civic polls tomorrow. 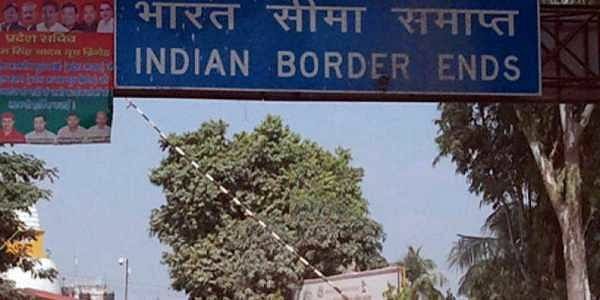 The Sashastra Seema Bal (SSB) is enforcing the sealing of the border, District Magistrate and Electoral Officer Virendra Kumar Singh told reporters. "Only emergency vehicles will be allowed across the border during this period," he said. The threat of Maoists and the porous Indo-Nepal border are the two biggest challenges during the third phase of municipal polls in Maharajganj and the International Border has been sealed to tackle this, the official said. Cameras have been installed on trade and transit points along India's border with Nepal to prevent illegal movement of people. Security along the borders has been stepped up in the wake of reports that anti-social elements could infiltrate into the country and disrupt the polling, according to a top official here. The third phase of polling will be held in 26 districts across the state.